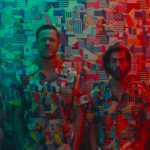 Ahead of the November 21st theatrical release of Ralph Breaks the Internet, Imagine Dragons just debuted the music video for their song “Zero,” which will accompany the film as its end credits track. 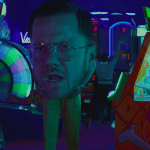 The video, directed by Dave Meyers, shows its characters at an arcade creating avatars and playing games against each other. Interspersed throughout are trendy patterns, a few explosions, and even a slapping contest. The piece is certainly layered in metaphors, but without seeing Ralph Breaks the Internet just yet, it’s hard to tell what’s subtext and what are Meyers’s stylistic choices as director. Take a look. The song speaks to the complex idea of insecurity and self-doubt, its lyrics saying, “I find it hard to say the things I want to say the most” and “Let me tell you what it’s like to be a zero.” At one point, it even gets dark, “27 years and the end on my mind.” If reading between the lines, the song embodies a contrast between an upbeat energy with lyrics acting as commentary to a rather serious subject of opening up to support systems during times of struggle, maybe even depression. There may also be traces of points being made about our dependence on virtual personas. Against a backdrop of trippy visuals with giant heads and zany video game visuals, it could be easy to miss, but it’s there. This could perhaps speak to the overall theme of Ralph Breaks the Internet that its trailers have yet to show us amidst the flashy Internet jokes and Disney synergy tie-ins. Considering Ralph’s arc in the first film of coming to grips with being himself and making genuine connections with others, as well as the seemingly fanciful Zootopia actually being a treatise about diversity, the idea of Ralph Breaks the Internet covering profound territory doesn’t seem too far off. The film could be an important conversation toward the topic of mental health. The language of being a “zero” is also an interesting choice of words when remembering that Vanellope claimed Ralph her “hero” in the first movie. No pressure, but based on the legacy of its predecessor’s credits, the song has pretty big shoes to fill. Ralph Breaks the Internet wrecks its way into theaters November 21 from Walt Disney Animation Studios. What do you think of the new music video? 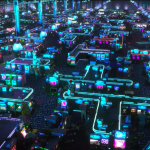 Any guesses for what it may foreshadow for Ralph Breaks the Internet?